Digital Photography Services for special events, models, actors and actresses and performers, both in studio and on location. On time, high quality professional photography services. 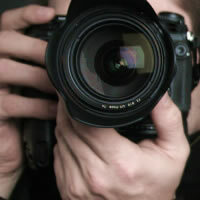 Photography services for special events and the people or performers in those events. Our photography services include both in studio and on location project, and we can also provide on site printing. We bring portable studio lighting to events when needed. As the owner of this photography business I can guarantee the results. Collierville Photography is a full time photography business, legally licensed to work in Tennessee. Equipment used is all high quality Nikon Cameras and lenses.